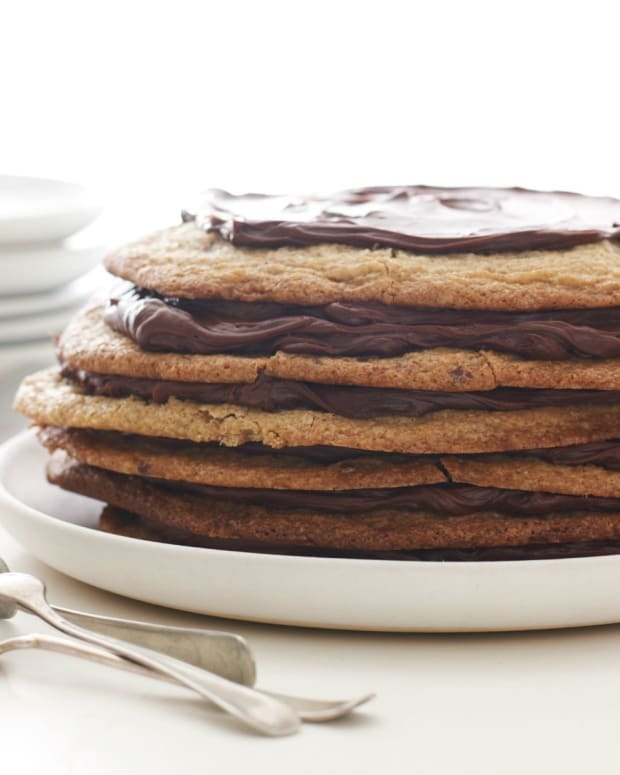 Passover would probably be at the top of the list of healthiest Jewish holidays. Sometimes, though, because of the many restricted ingredients, we may find ourselves adding a little extra oil and salt than is necessary. 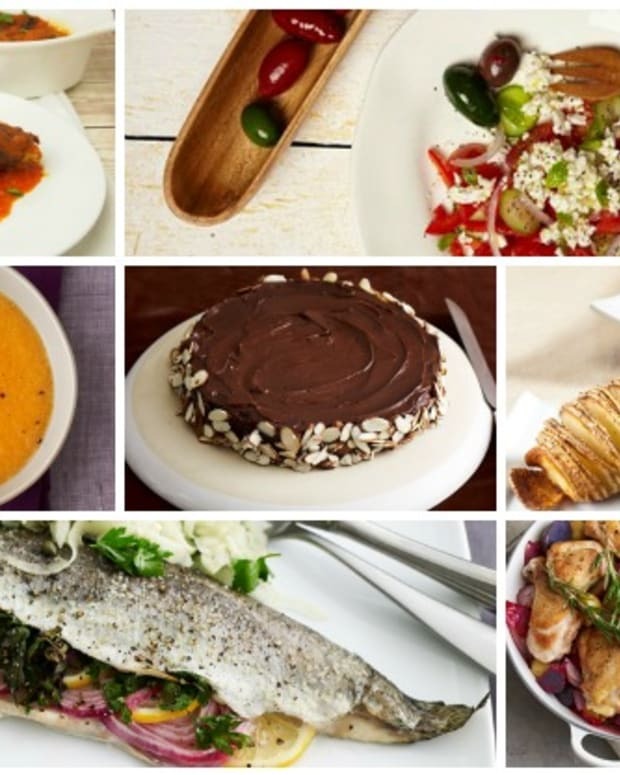 These 15 kosher for Passover chicken recipes are easy, healthy, and full of flavor. 1. 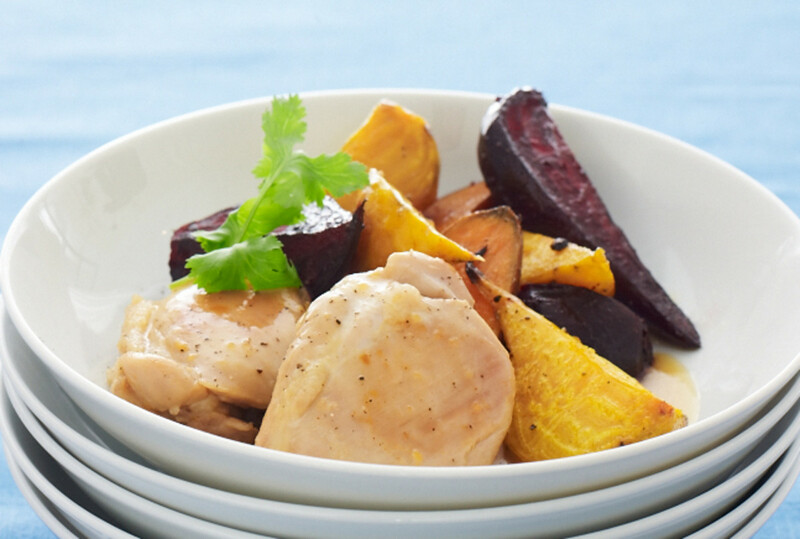 Orange Chicken Thighs with Beets and Sweets:This refreshing chicken recipe is perfect for a spring holiday. 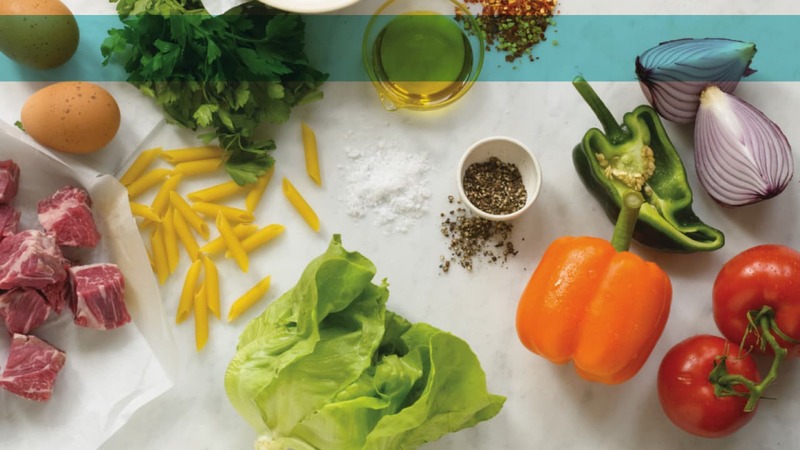 After some initial vegetable peeling, this meal practically cooks itself. 2. 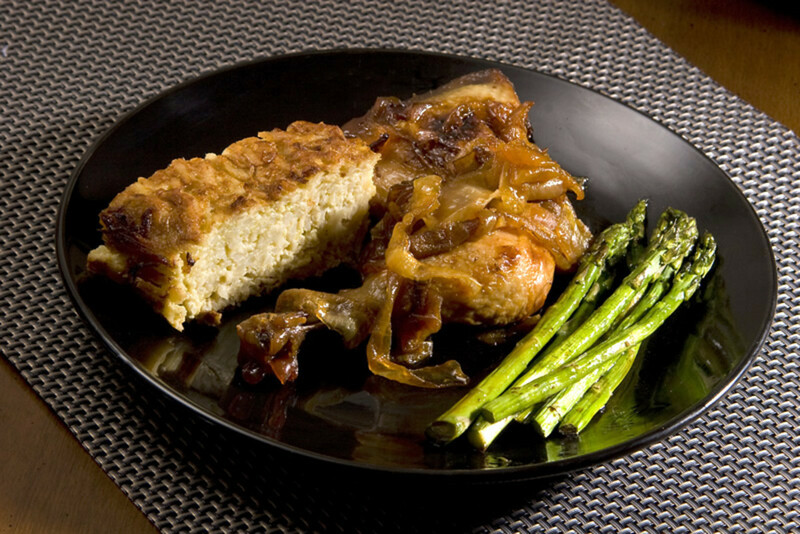 Caramelized Onion Chicken: On pesach, I really appreciate recipes which minimize ingredients yet maximize flavor. 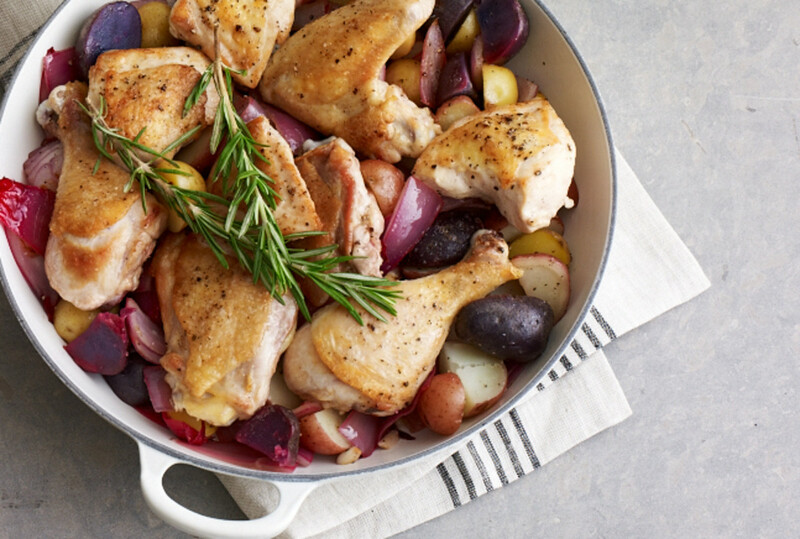 Better yet this meal is totally hands-off, put the chicken in the oven to slow cook for two hour and return to a fragrant kitchen and a delicious dinner. 3. 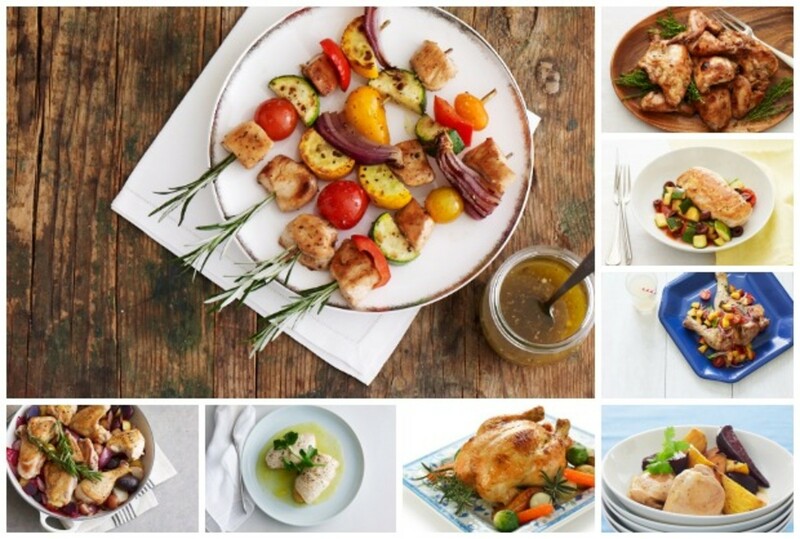 Chicken with Zucchini and Wine Stuffing: This is a great dish for the seder! 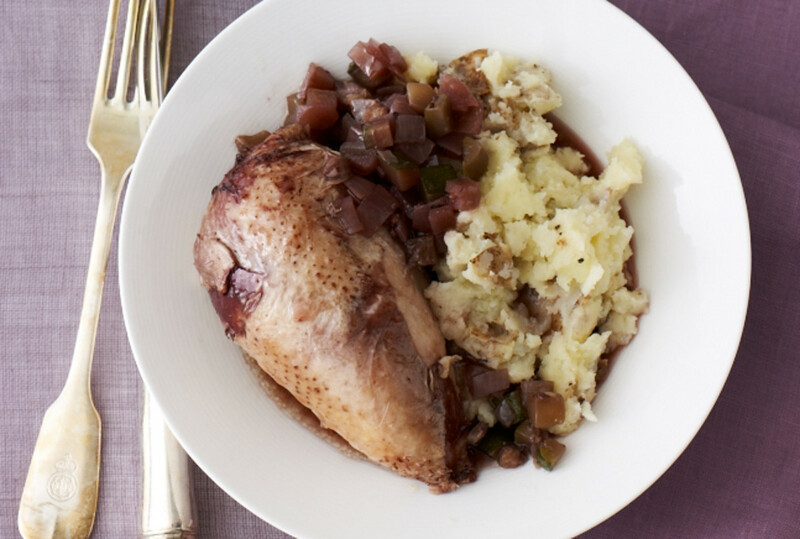 While you&apos;re running around making last minute preparations erev pesach, leave this on stove and rest assured that this chicken is simmering to perfection. 4. 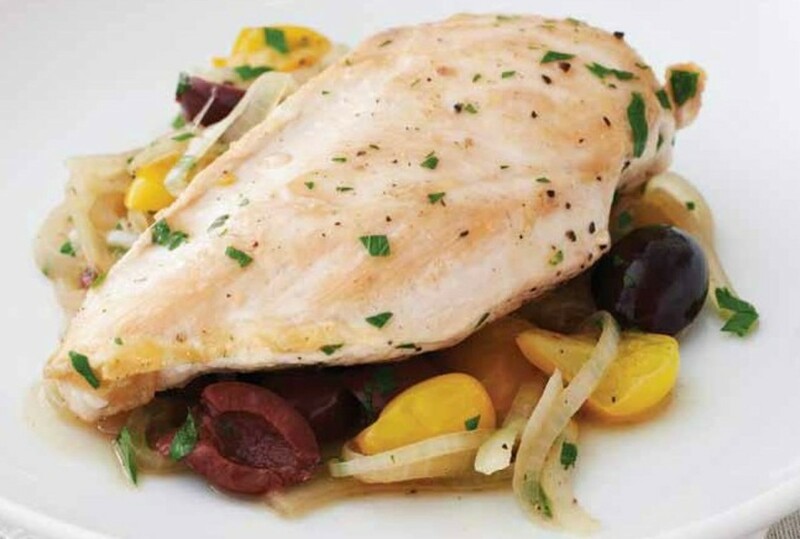 Chicken with Olives, Tomatoes, and Onions:Another wonderful option during a seder, this chicken recipe is reminiscent of mediterranean flavors which will delight your guests. 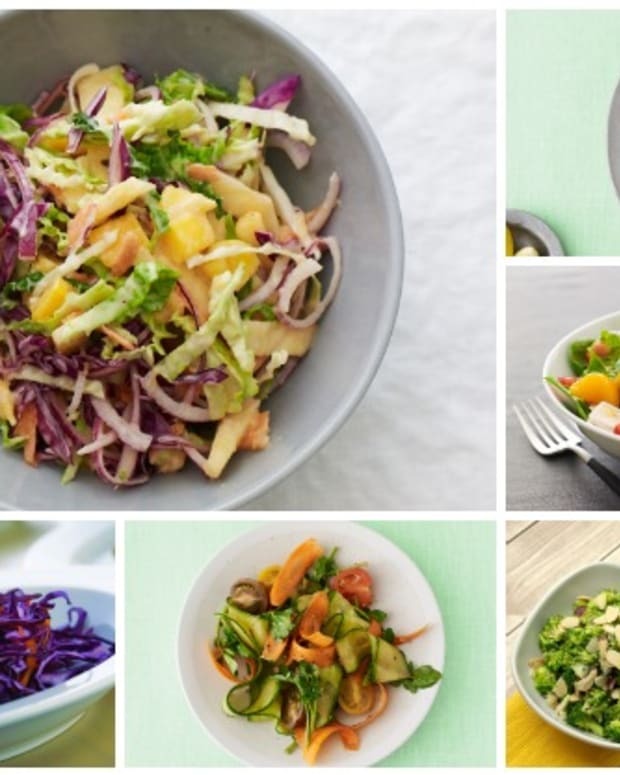 Plus, this is a perfect recipe to repurpose for lunch the next day. 5. 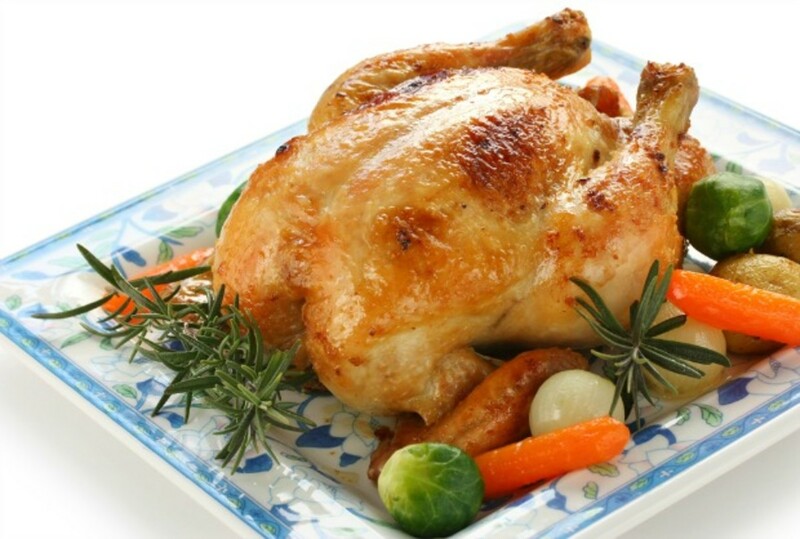 Date Glazed Roast Chicken: The aromatic combination of dates, orange juice and spices compose this sweet and savory chicken dish. Take care to ensure that your vinegar is kosher for Passover. 6. 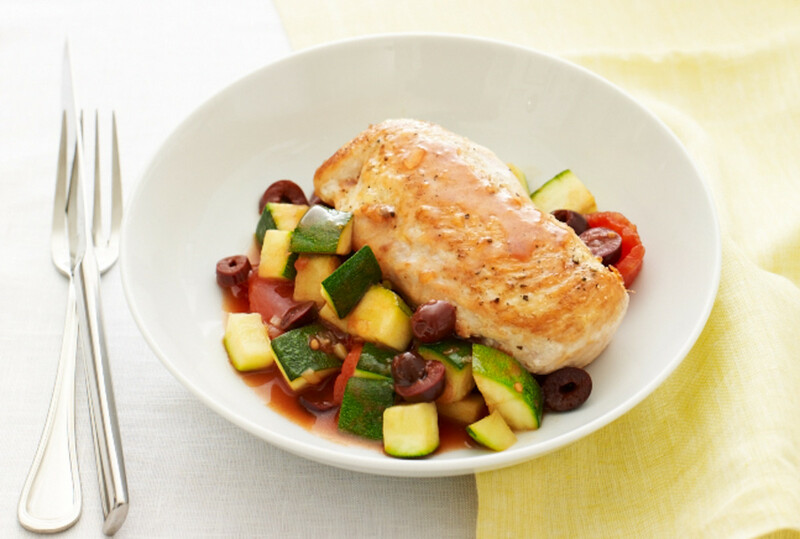 Chicken Ratatouille:If your custom is to peel all of your vegetables during pesach, then this is a great option. The flavors of the tomatoes and zucchinis pair richly with the chicken, the vegetables compliment this dish so well even if they are peeled. 7. 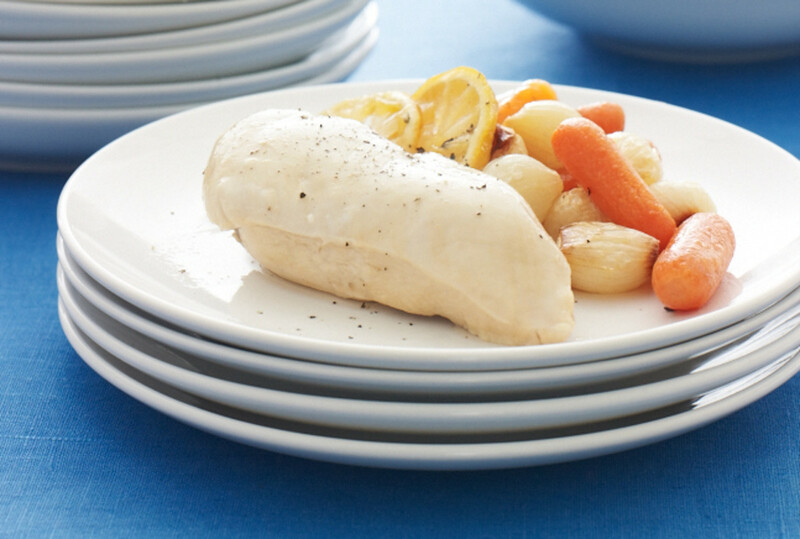 Passover Seder Lemon Wine Poached Chicken:Lemons and wine are a classic, crowd-pleasing combination. The flavors enhance the delicate flavors of the chicken. 8. Lemon Rosemary Roast Chicken and Potatoes:Yet another recipe to demonstrate the power of lemon in a chicken dish. 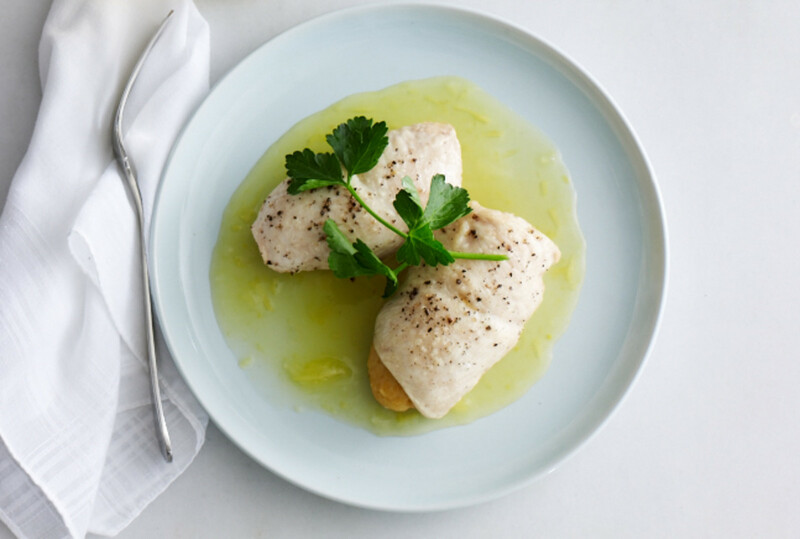 Rosemary, lemon, garlic and white wine are the star ingredients of this delicious dish. 9. 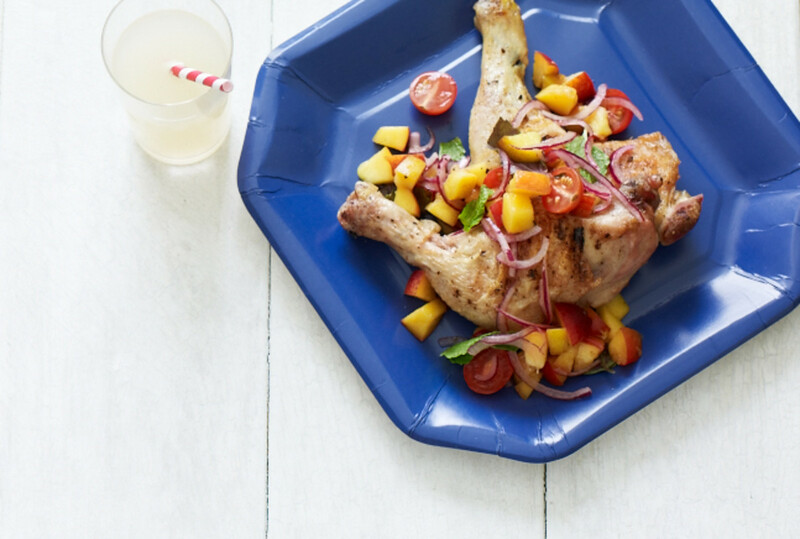 Grilled Chicken Legs with Peach Salsa: Here in the Northeast, we are finally seeing glimpses of warm weather. If you are lucky enough to live in a warmer area, I would recommend serving this grilled chicken dish for lunch or dinner during chol ha&apos;moed. 10. 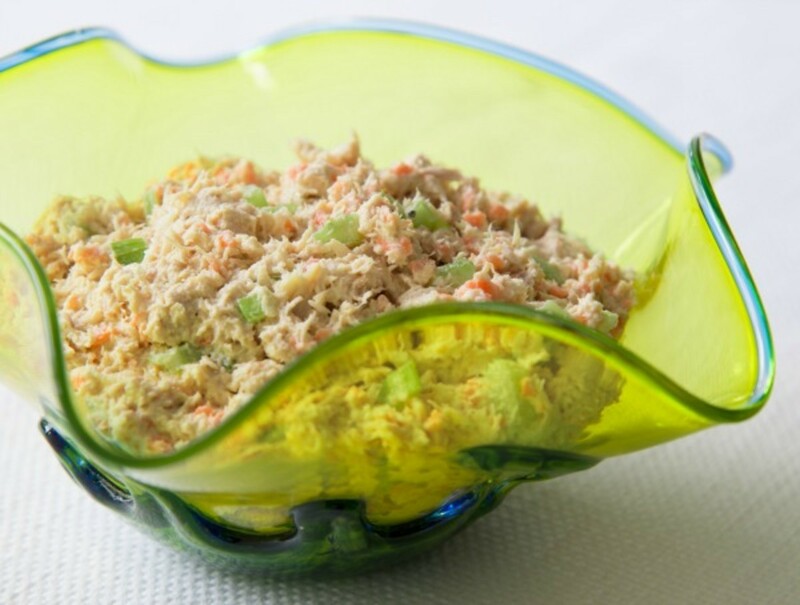 Classic Jewish Deli Chicken Salad:A great way to repurpose leftover chicken, serve the chicken salad with sides or on top of a hearty green salad. 11. 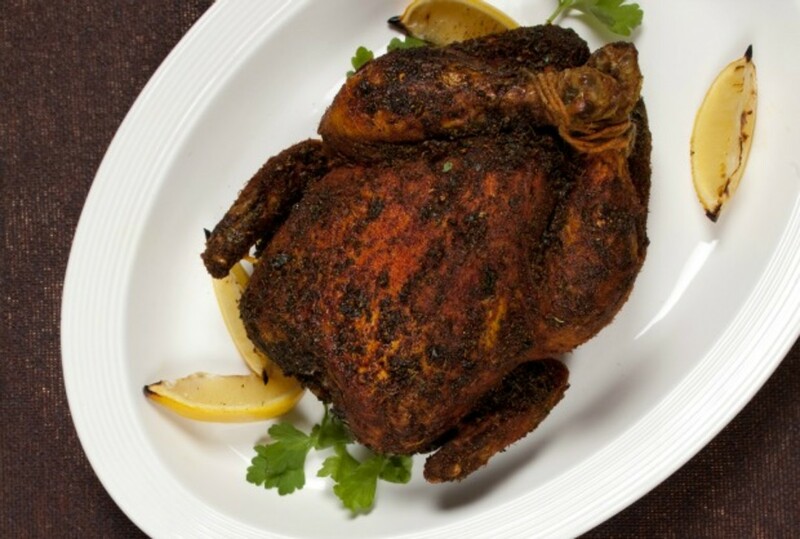 Roasted Chicken in a Dry Spice Rub: This is a roast chicken that is not at all lacking in flavor. Alter the dry rub as needed, if you can&apos;t find certain spices that are kosher for Passover simply double up on the ones you do have. 12. 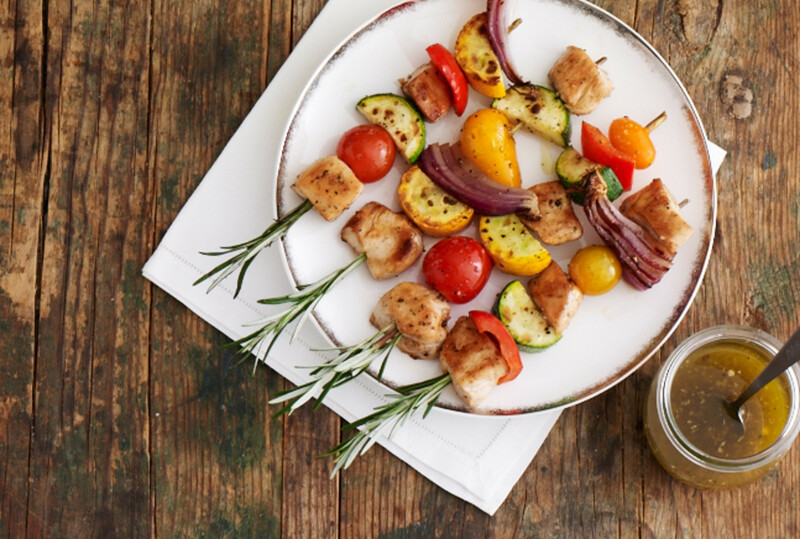 Chicken and Veggie Skewers:These are very kid friendly and a great way to spread a small amount of chicken into a satisfying meal. 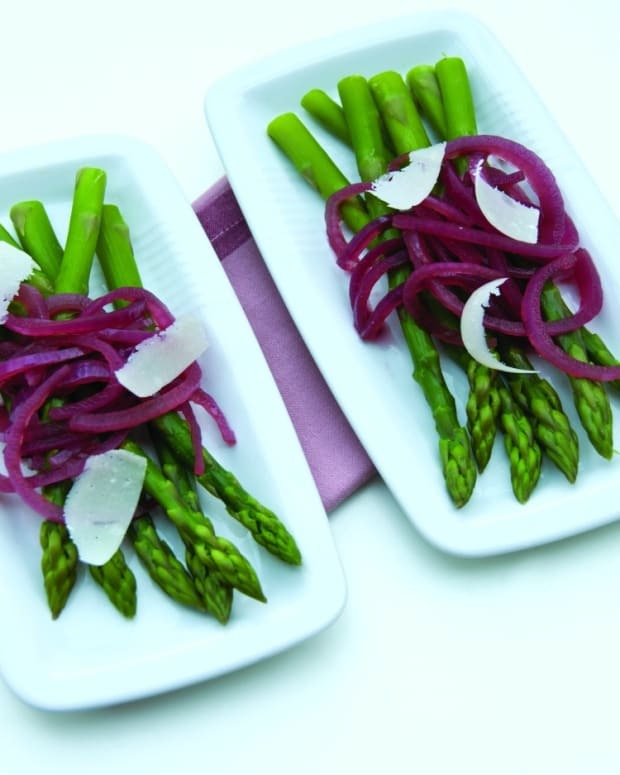 You can switch things up by customizing each persons&apos; skewer with the vegetables of their choice. 13. 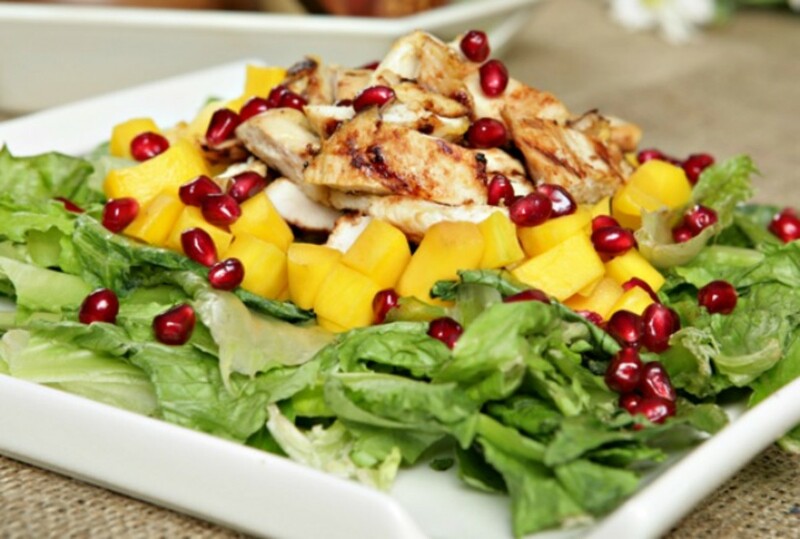 Grilled Mango Chicken Salad:Another great Passover lunch recipe, this salad has a very simple dressing and refreshing ingredients. 14. 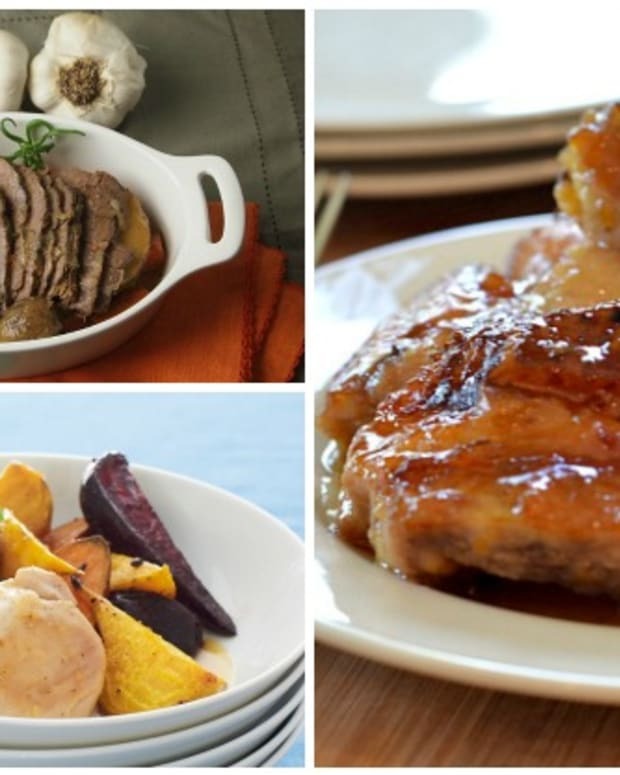 Kishke Stuffed Orange Chicken:A modern take on a classic Jewish ingredient, your guests will be impressed and surprised by the combination of kishke and citrus in this delicious chicken dish. 15. 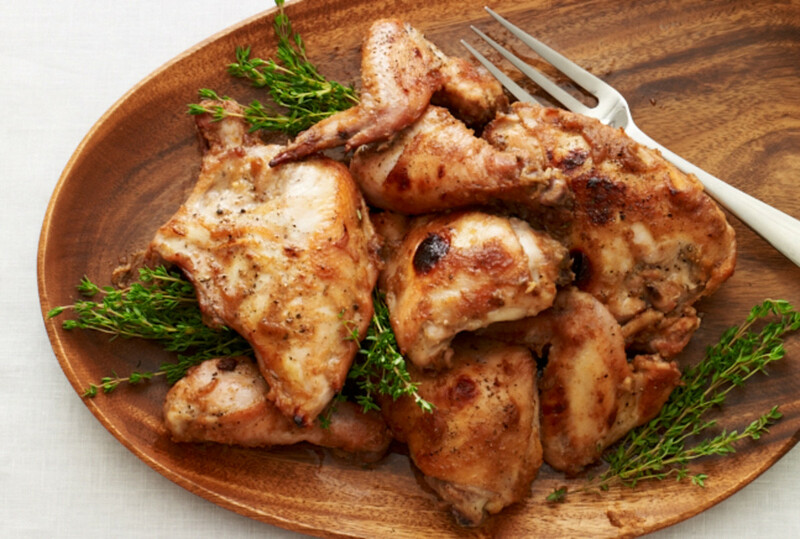 Easy Roasted Chicken: It wouldn&apos;t be Passover without a classic, roasted chicken dish. 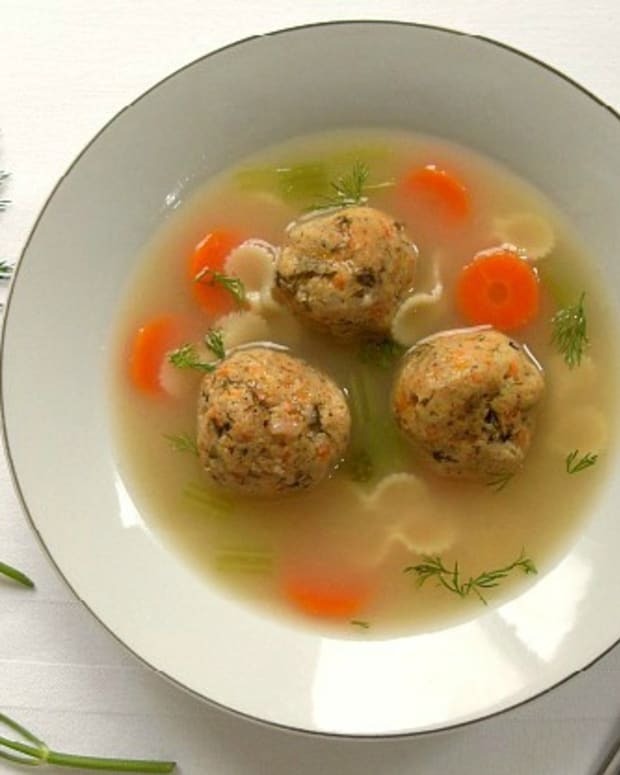 Whether it&apos;s served at the seders or during chol ha&apos;moed, this dish evokes comforting memories of tradition.